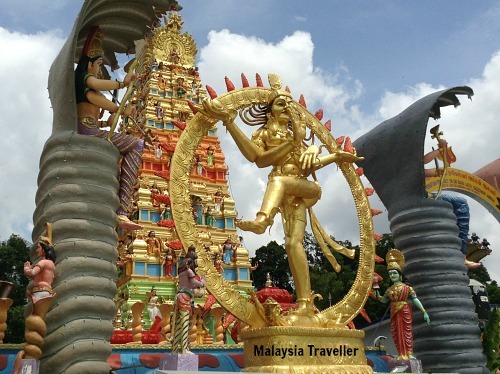 Om Sri Maha Athi Nageswary Amman is one of the most ornately decorated Hindu Temples in Selangor. It was officially consecrated in February 2016. 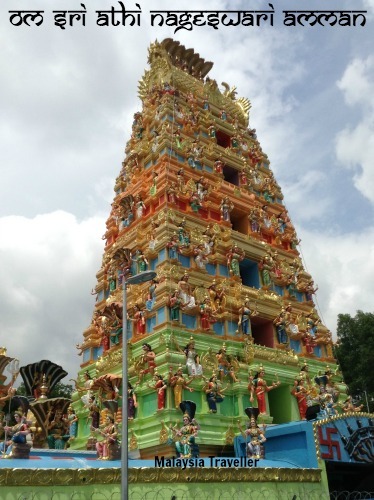 It replaced an earlier temple of the same name in Jalan Serdang. 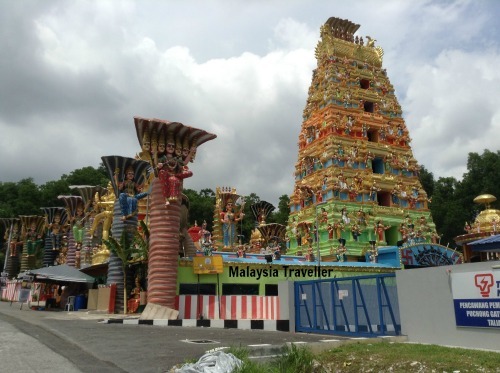 It’s multi-coloured eight-tiered gopuram is clearly visible to motorists using the Lebuhraya Damansara- Puchong expressway near Puchong Gateway. The temple is dedicated to the Snake Goddess Nageswari Amman and a number of giant seven-headed cobra design pillars surround the temple with deities sitting protected beneath the hoods of the cobra heads. Another notable feature is a 65 feet high Shiva Lingam, a symbol of Lord Shiva and source of mystical powers for Hindu devotees. 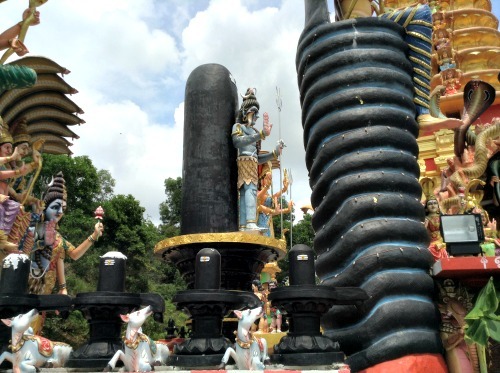 The lingam was shipped in from India together with 50 masons who worked for years on creating and decorating the countless statues and motifs adorning the temple. There is a hall within the temple compound where weddings and other functions can be accommodated. It is a pity that they had to build an electricity sub-station immediately adjacent to the temple as it obstructs the frontal view of the gopuram, but I suppose land is expensive and the temple management had to take what was on offer. You can more photos of the temple during its construction stage on my Thrifty Traveller blog. 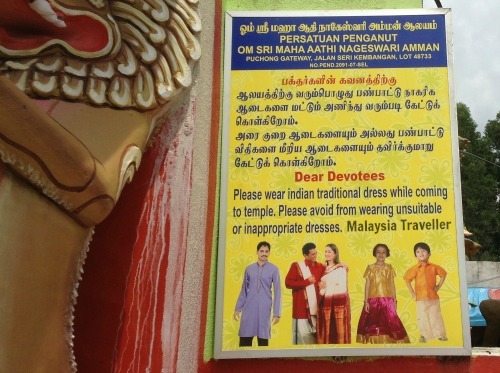 Non-Hindus should ask permission before entering. Remove shoes / slippers and wash feet (tap outside the entrance). Do not spit, litter or run. There is limited free street parking outside the temple. (Note the variation in spelling). Access is via Jalan Suria Puchong 6 (exit the LDP expressway for McDonalds and the Petronas filling station). For more details and news of events you can find the temple’s Facebook Page here. Please contact them directly if you need information.